Eye-popping Elegance! 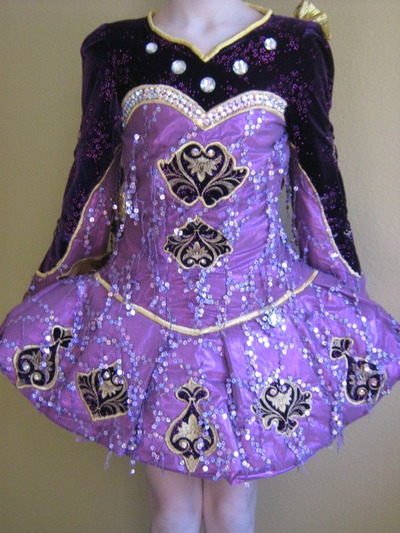 This deep purple and mauve puffball dress with gold embroidered accents and trim has amazing stage presence. 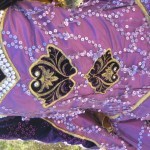 The top, sleeves and back are purple velvet, and the dropped waist bodice and skirt are mauve with a fine netted overlay that has short strands of holographic sequins that fly out as the dancer moves across the stage. 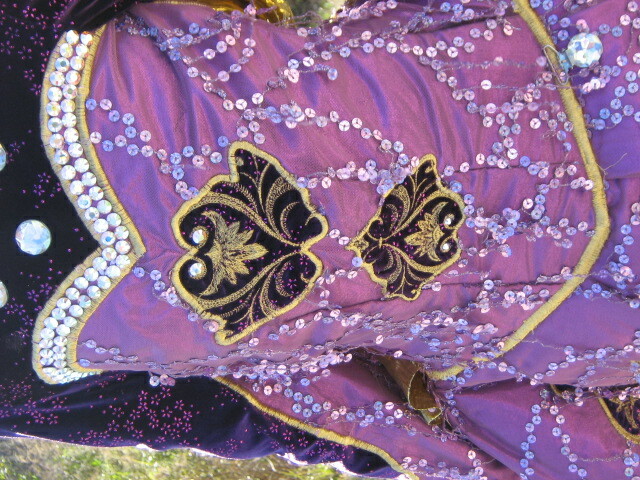 The gold embroidered cutouts on the bodice, sleeves and back are studded with Swarovski crystals, and the sweetheart bodice neckline is a double row of crystals. 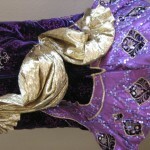 The cape/shawl is made of an eye-catching gold material. 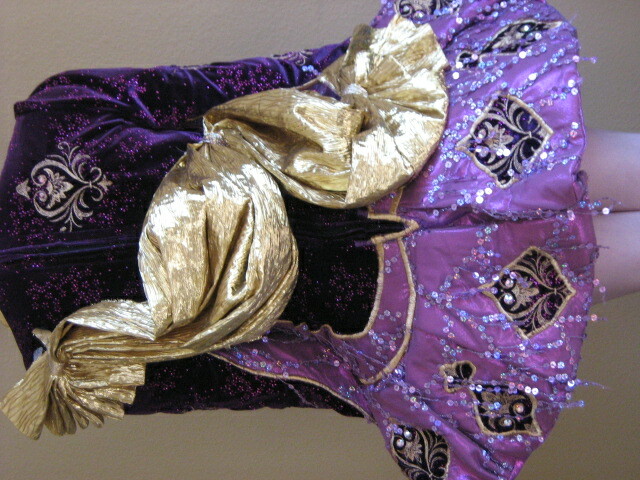 Deep purple bloomers and a new headband of gold and mauve with tons of Swarovski crystals are included with the dress. This dress has been meticulously cared for in a smoke free home. It is in pristine condition. Asking Price: $US800 or best offer. Shipping costs are included for my own country, overseas shipping is extra. Returns are negotiable.